We do things a bit differently, and that's the way our clients like it. Free pickup from your Napier Accommodation, or the Napier Visitor Centre. Minimum of 2 persons and a max of 11. Larger group ? please enquire. All tastings, food matching, entrance fees, taxes and local pickups and a small souvenir are all included. You can either be collected from your Napier accommodation or any Napier location as part of this tour. The first Winery is a fantastic Historic Winery. Second Winery, another Historic Winery, but with a difference..
Once you arrive, you will be given a Wine glass to hold and use as you are guided around this Winery. 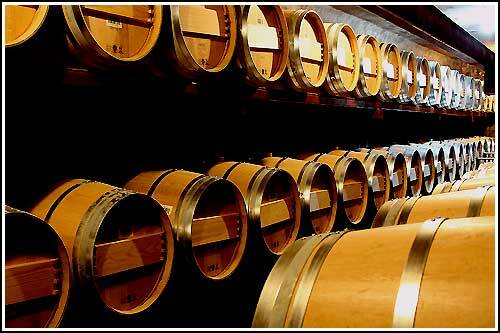 As you take the Working Winery Tour, you will taste Wines at different stages of completion. You will explore New Zealand's only Wine Museum set inside past fermentation tanks... fantastic. 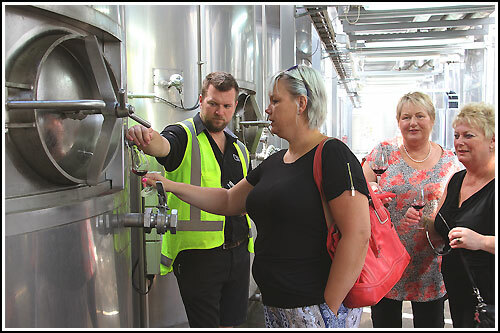 Upon completion you will return to the Cellar Door to enjoy premium Wines with food samples to discover the secrets around Wine and Food matching. 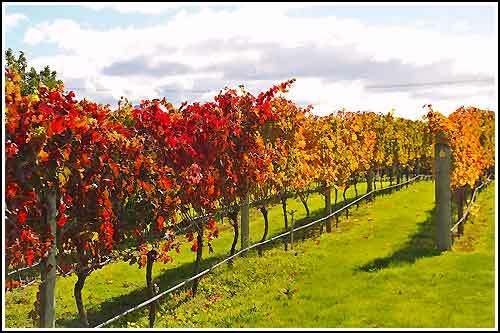 This winery visit is followed by another Winery to enjoy another flight of Wines. This time the Winery is set in the world famous Gimblett Gravels. There is much to discover on this tour.